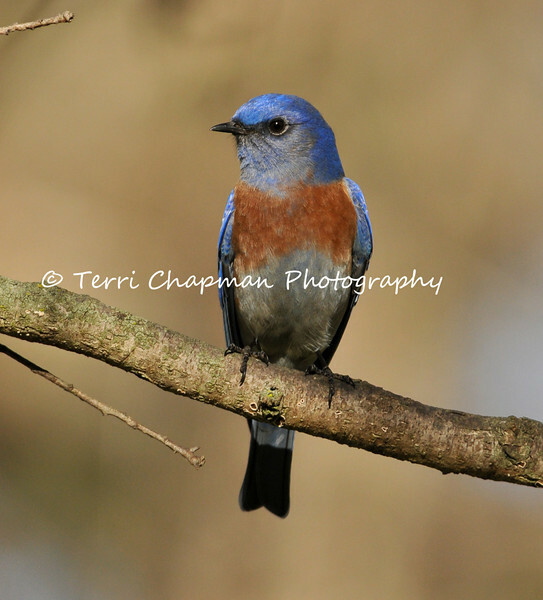 This image is of a male Western Bluebird. Western Bluebirds are small thrushes that usually perch upright.These birds are highly social, and usually feed in flocks during the non-breeding season. They hunt for terrestrial insects by dropping to the ground from a low perch. Western Bluebirds also frequently feed on berries in trees. Western Bluebirds rely on trees both for nesting cavities and hunting perches, and also perch on fences and utility lines.